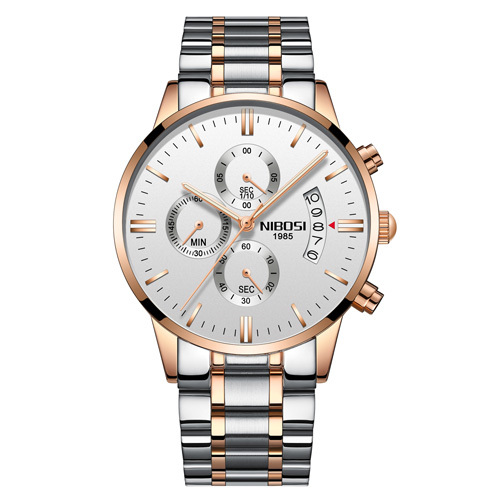 This classic round watch exudes elegance and simplicity, for a chic everyday look. 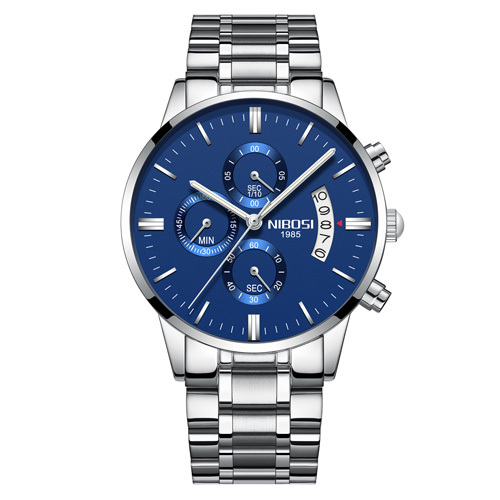 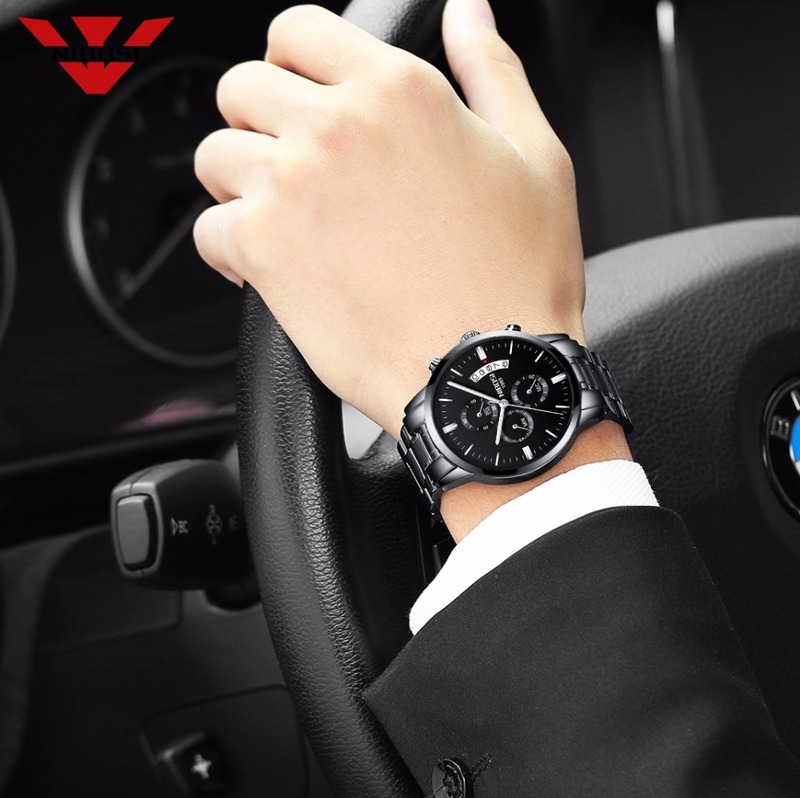 Watch for hard surface of the sapphire crystal lens, steel waterproof, Dial face with coated luminous hand indicators, 3 independent hand indicators, chronograph and 43.5WH battery will last approximately 12-18 months under normal use. 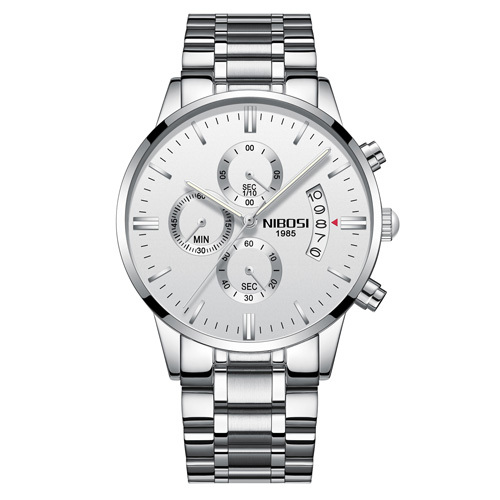 Bringing you a sure fit, this charming timepiece is soon to become your every-day favorite. 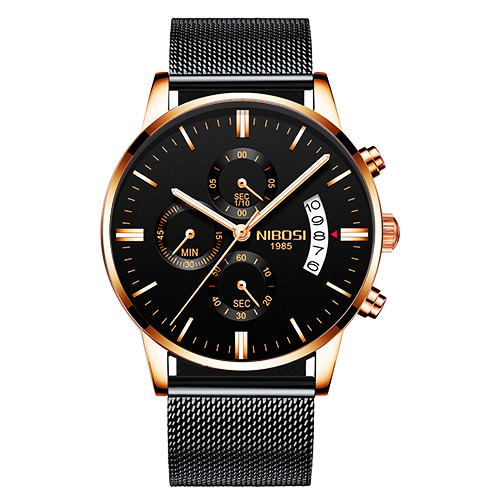 This Nibosi classic styling and high performance add up to an outstanding sports watch for your land or sea adventures. 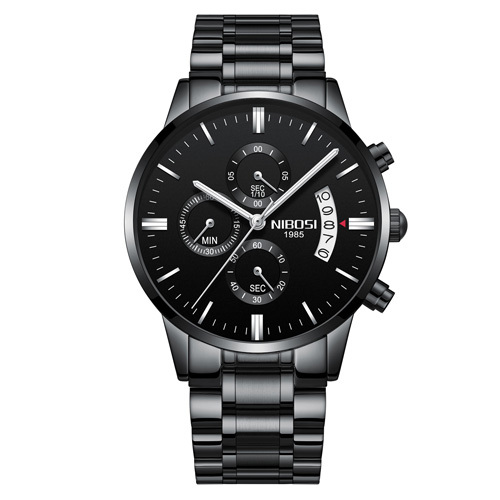 Watch dial are designed for quick and easy read-off, even in low light conditions. 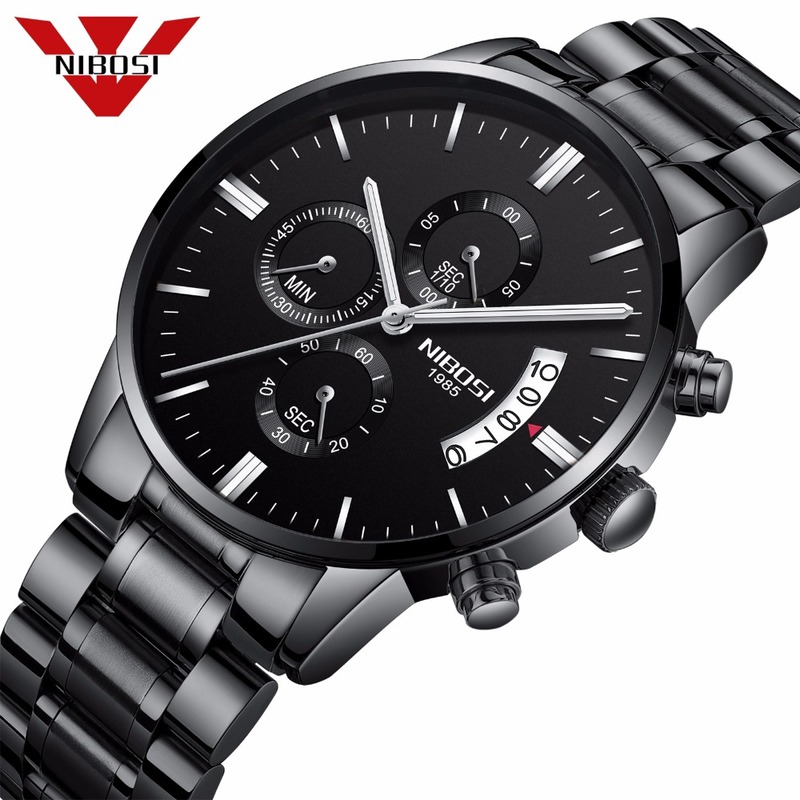 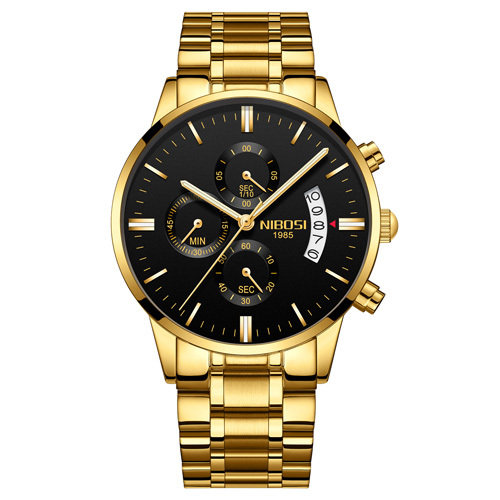 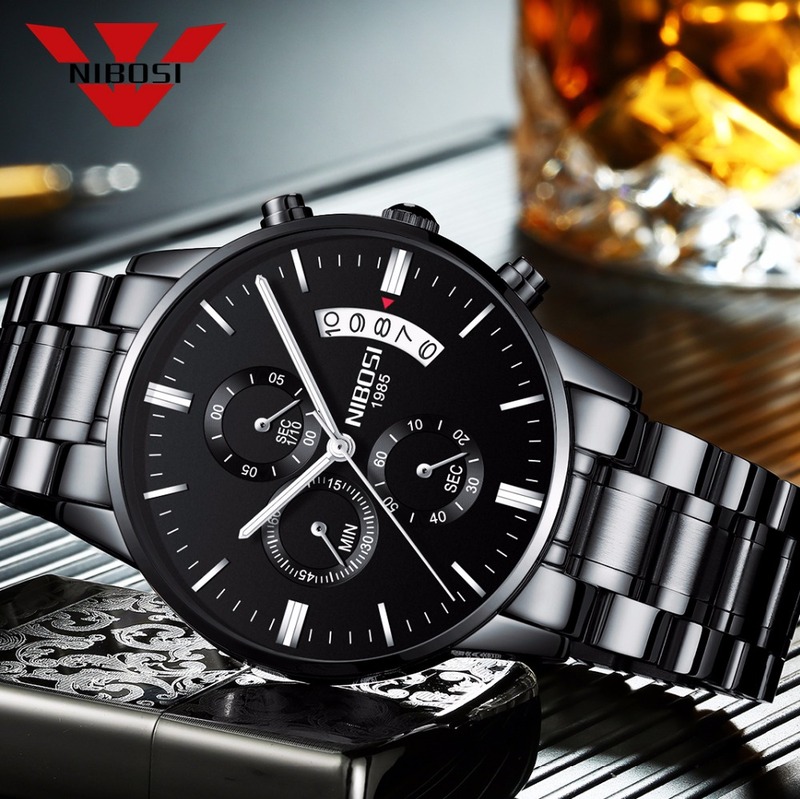 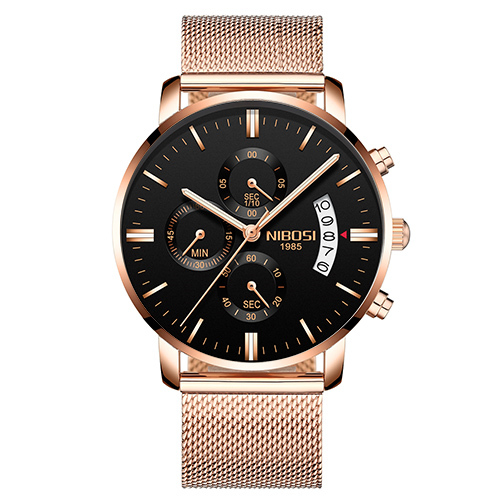 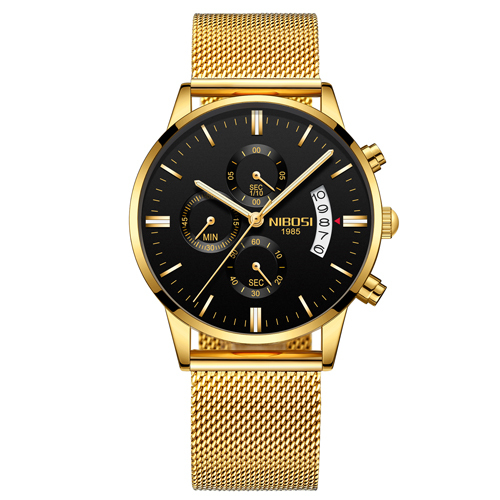 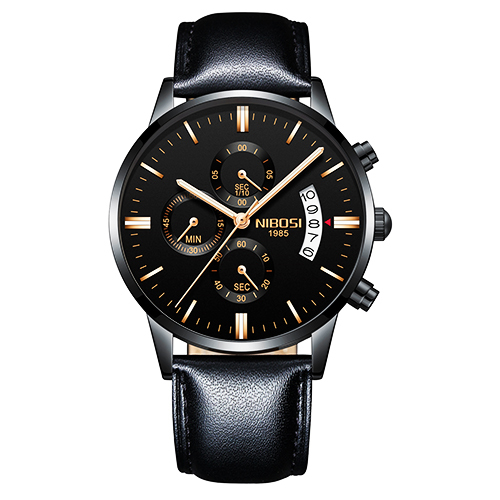 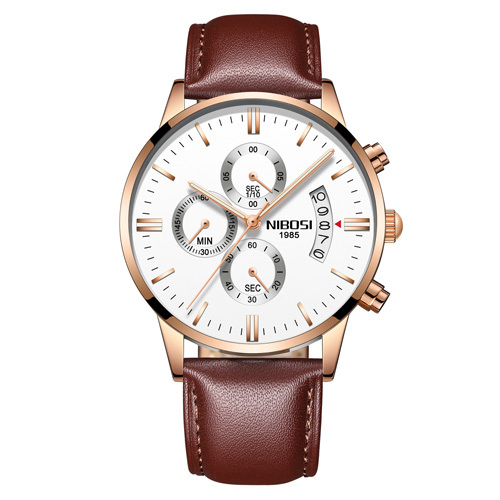 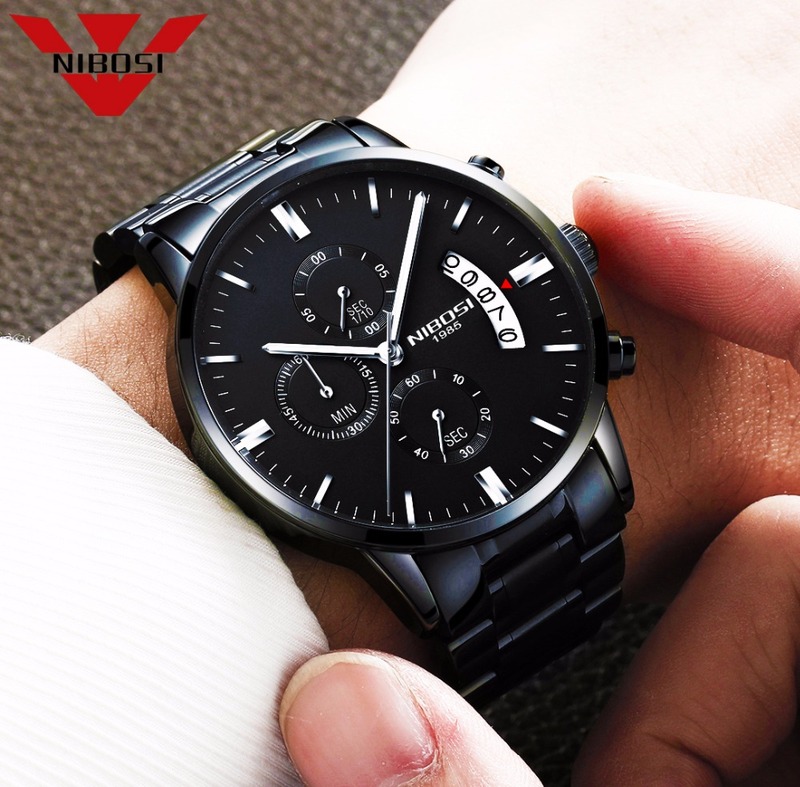 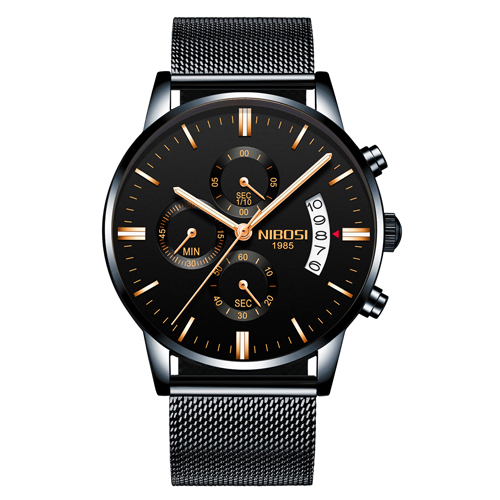 This Nibosi watch to the classic style watch gives you twelve time settings, date, and 3 distinct arrow independent hand. 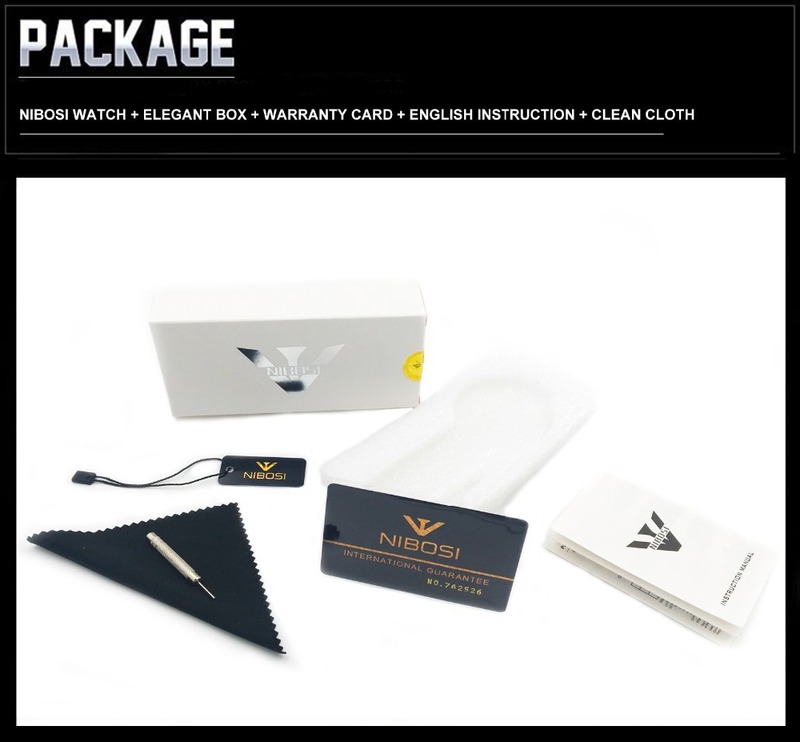 Everything you need and nothing you don't, the best choice for you. 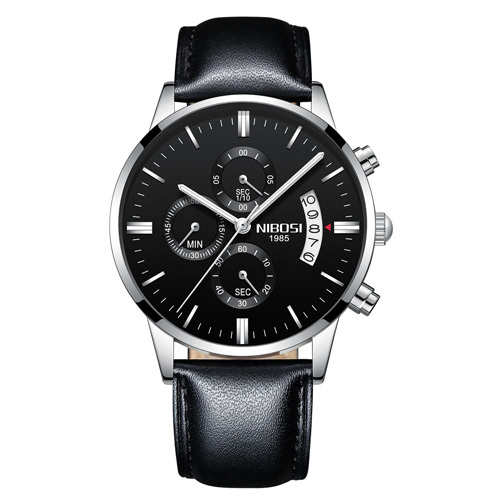 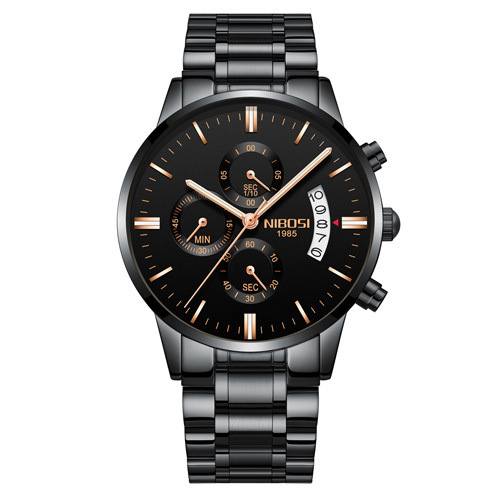 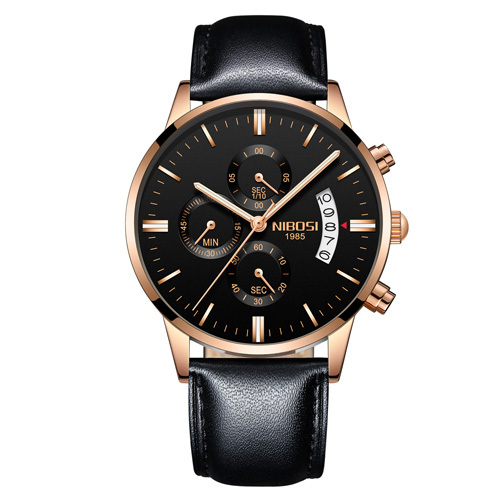 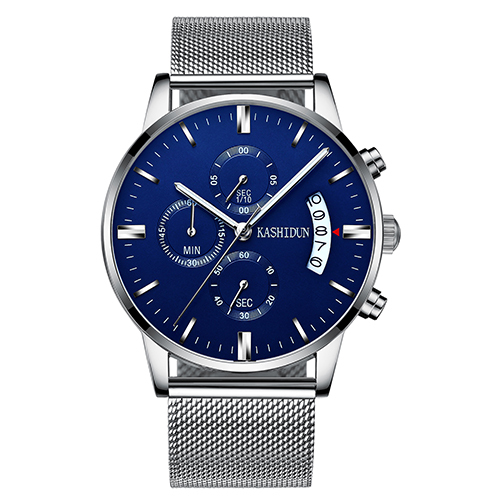 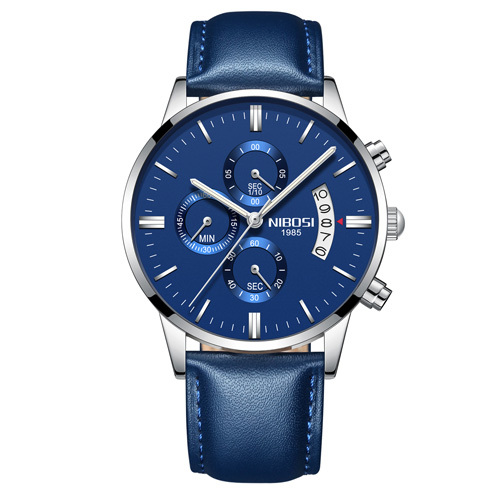 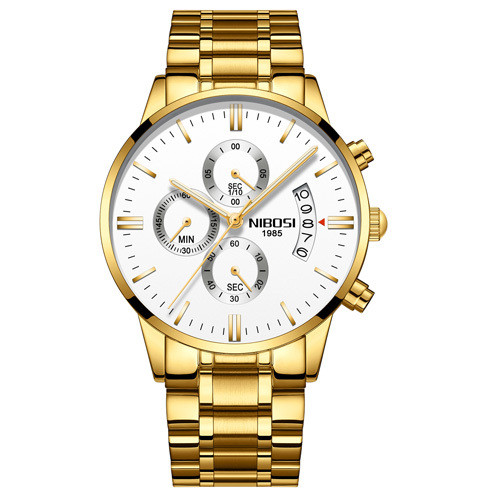 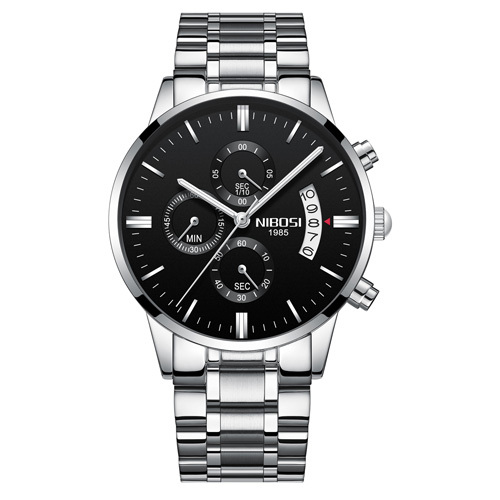 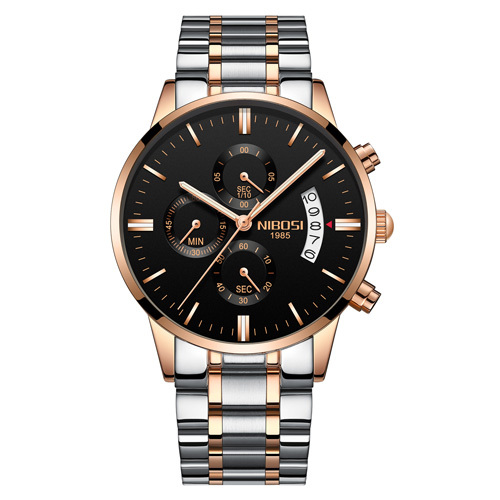 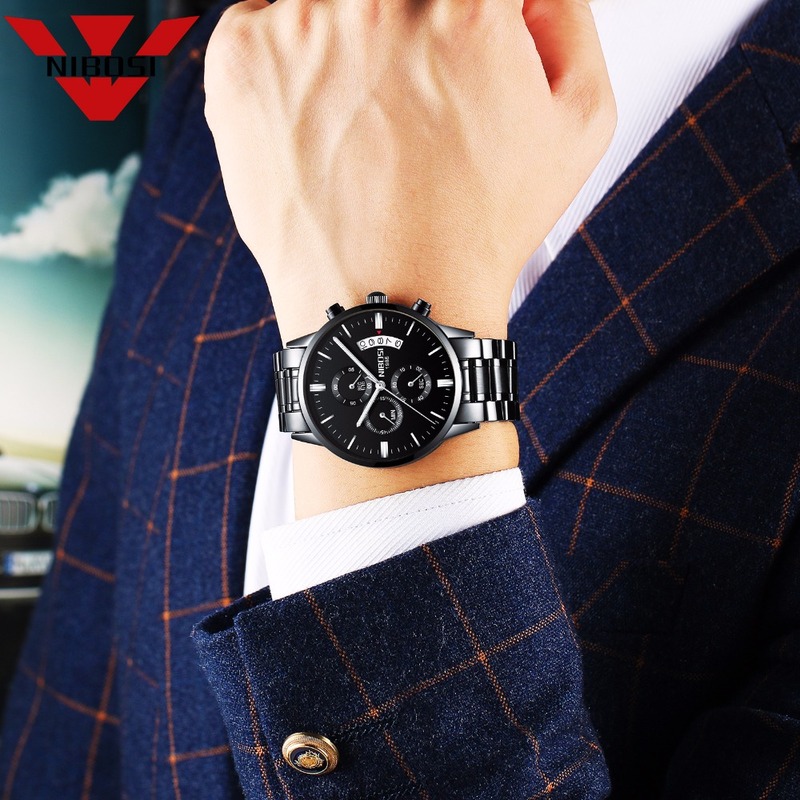 If you're looking for a nice watch for men, you've found it. 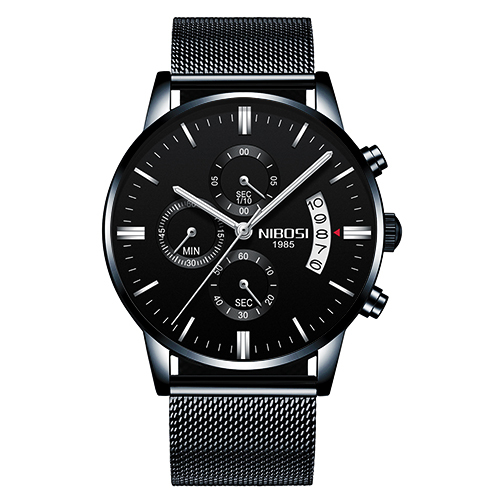 1 x Nibosi Watch Clean Cloth.